Hikers, adventurers, competitors – these real people with really interesting stories discovered LOWA Boots on their own, later contacting us to say how thrilled they were with the performance of our products. Whether they are realizing life dreams by summiting an 8,000 meter peak, guiding expeditions or competing in their chosen discipline, our Field Ambassadors’ experiences become part of the larger LOWA story. 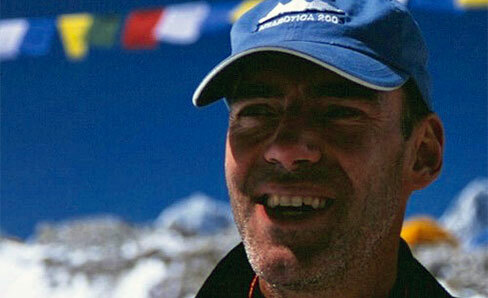 I am an Expedition Leader on the seven continents, leading groups from Everest to the Vinson Massif, Antarctica. I specialize in private, bespoke trips on new routes and peaks, from the high Arctic to Antarctica, the dunes of the Sahara to unnamed peaks in the Himalaya. I'm a mountain gal. I've skied down them, climbed up them and lived among them my whole life, first in the northeastern U.S. and now in the northern Rockies. 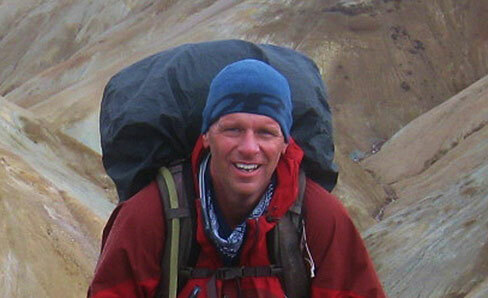 I'm the author of 10 books, including 7 hiking guidebooks. 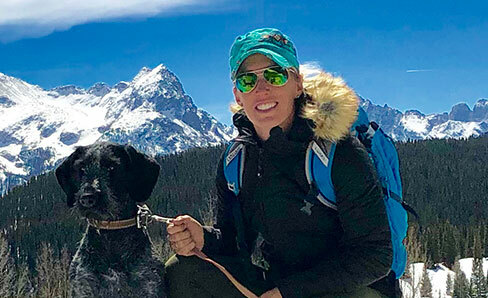 A three-time Olympian in the sport of biathlon, I now compete in 3-Gun competitions where I have won over 15 major High Lady match titles in the last three years. My goal is to become the best female shooter in the country. 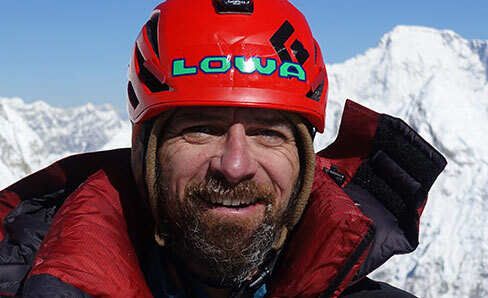 My 35-year career in the unforgiving world of high altitude mountaineering includes ascents of Everest, Changabang, Ama Dablam, Baruntse, Sepu Kangri, Kampur and Milarepa, all by new routes. 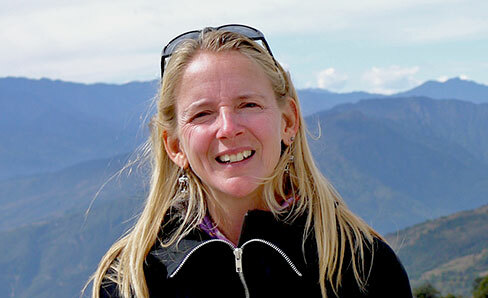 I have enjoyed adventures from Alaska to Argentina, from Bolivia to Tibet. 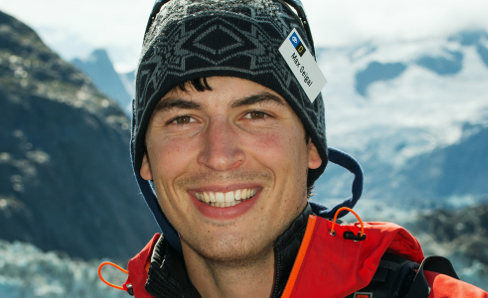 I like rock, ice, alpine and high-altitude climbing. Along with co-leading international expeditions, I’ve also taught hundreds of kids to climb indoors. 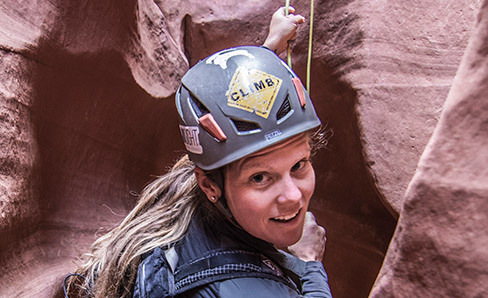 I first went climbing in college and, instantly, I was hooked. 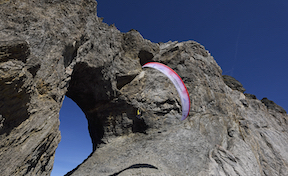 I moved to Ouray to focus primarily on ice climbing. It was there I discovered mixed climbing which has been one of my passions ever since. I was born in Beatenberg, Switzerland overlooking the famous trilogy of the Eiger, Mönch and Jungfrau. I grew up in a lovely village around farmers, nice people, a caring family, a simple life with lots of outdoor activities, including ski racing. I have been a professional photographer since 2000 and have had the good fortune to capture images from around the world from wildlife, to cities, to landscapes, and musicians. Steve and I are identical twin brothers. 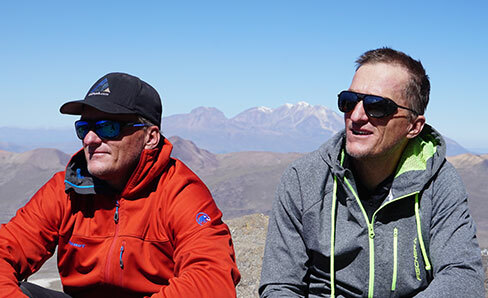 We started ski mountaineering at age 12, and over the past 30 years have organized and been on expeditions to about 50 peaks in the 5000 meter to 8000 meter peak arena. I was born in San Francisco, California, but grew up on a farm in the Ozark Mountains of Southwest Missouri. 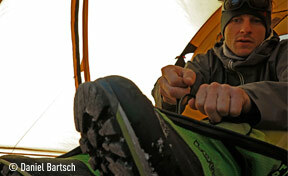 This environment provided me a solid foundation for hard work, adaptability and love of the outdoors. 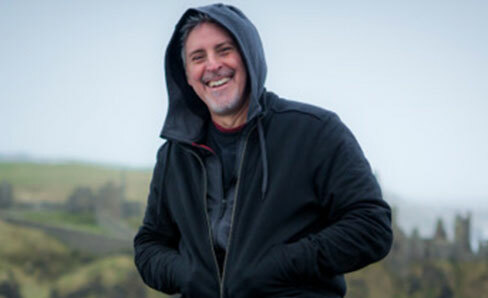 I work as a professional photographer and spend most of my time on the road with National Geographic and Lindblad Expeditions. I am an adventure junkie. Ever since I can remember, I loved to be outside. Sitting in class in grade school I would stare out the windows waiting for recess. I used to draw maps of the places my parents would take us camping in the trees, lakes, and rivers of Iowa. 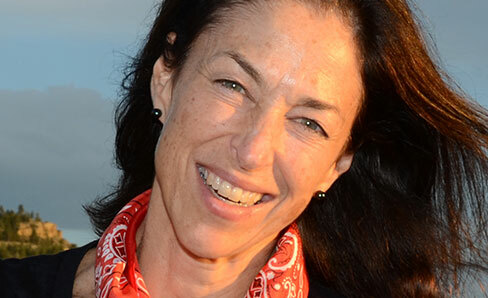 I’m a recovering strategy consultant and Harvard MBA turned full-time outdoorwoman. I’m a professional photographer and filmmaker based in Mammoth Lakes, CA. I have spent the past decade dedicated to to documenting adventure and humanity in its rawest forms. I learned my appreciation of the mountains from my parents at an early age. 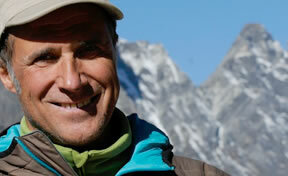 In 1986 I began teaching courses in the outdoors while working at Adventure 16. I’m a traveler at heart and was bitten by the bug early on when I set out on my first adventure at age 20--road-tripping around the U.S. for three months. ENGAGE your mind, EXERT your body in Mother Nature and EVOLVE into a confident, strong, complete being. These three words are my mantra. 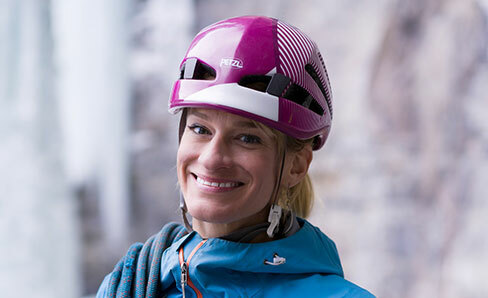 The LOWA Pro Team of world-class alpinists and mountain athletes collaborates with our development team in Germany to design and test pinnacle-level product under the world’s most demanding conditions. Beyond their finely tuned insights and advice that enable us to create high performance designs, they inspire us to continually innovate across all of our categories. 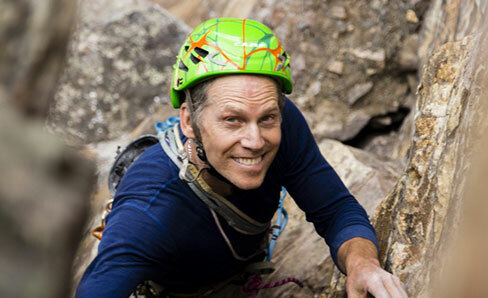 Ralf Dujmovits lives in Germany’s Black Forest and, whenever he finds the time, he heads off sport climbing in the Alps or to other mountaineering expeditions. 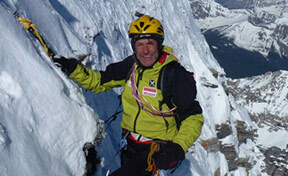 Stefan Glowacz is a professional extreme climber and can look back on an impressive competitive career from 1985 to 1993. 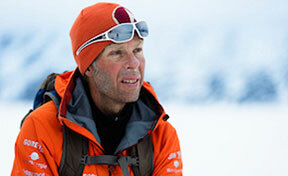 David Göttler has made a name for himself as an extremely strong all-around mountaineer, mountain guide and cameraman. 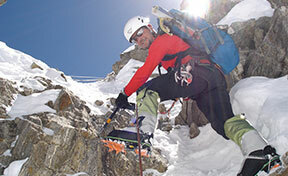 Of course, mountaineering is more than a hobby for him. 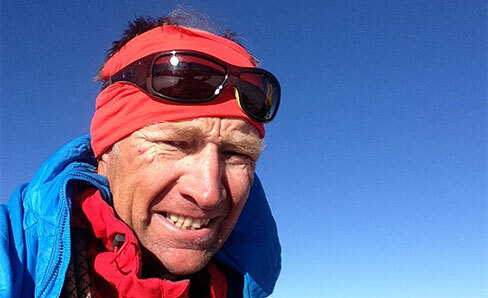 Among extreme athletes, Rudi Hauser is a latecomer. 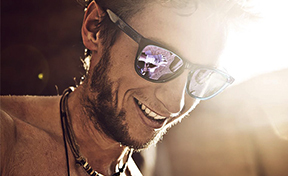 The Austrian was "already" 19 when he first discovered climbing. Even as a child, Robert Jasper had mountaineering on his mind as he romped around snow drifts in his native Black Forest. 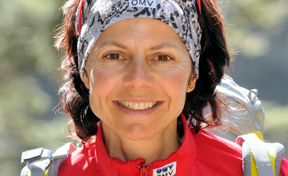 Gerlinde Kaltenbrunner’s interest in mountaineering was born and nurtured when she was young. 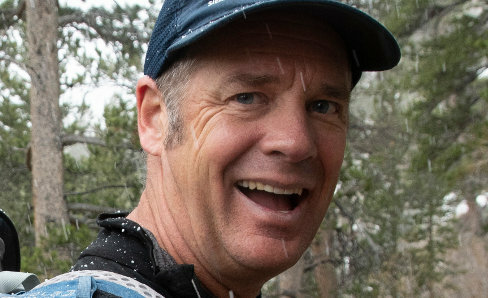 The 50-year-old Hans Kammerlander, nationally certified mountain and ski guide, has for years belonged to the upper echelon of Alpinists. 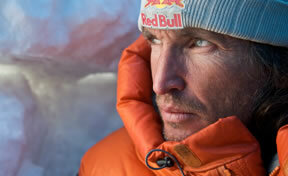 Christian “Chrigel” Maurer is an extreme athlete from Switzerland and is one of the world's best paragliders. 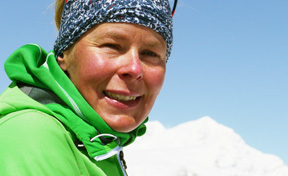 Born in Hamburg, Alix von Melle is Germany’s most successful expedition mountaineer. 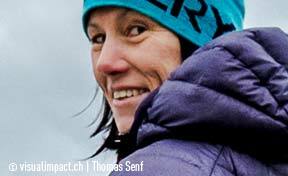 After completing her education as a physiotherapist, Ines Papert left her home in Saxony, Germany, in 1993 and moved to Berchtesgaden in the Alps. 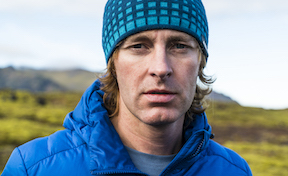 Jess Roskelley is an American alpinist, known most notably for his expeditions in Alaska. 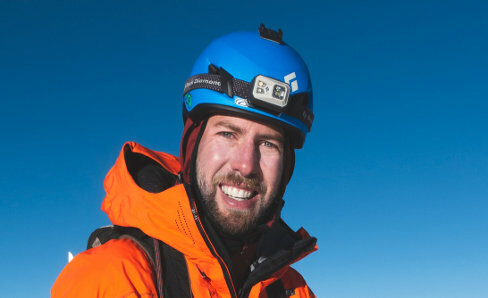 Government-certified mountain guide and ski instructor Luis Stitzinger, 45, was born in Füssen in Allgäu and has been out and about in the mountains since he was a small child. As a general rule, we do not accept applications or proposals for sponsorship.Our ambassadors are individuals who have used LOWA Boots & Shoes and told great stories or shown some level of support for the brand that we recognize and have then developed a relationship with. 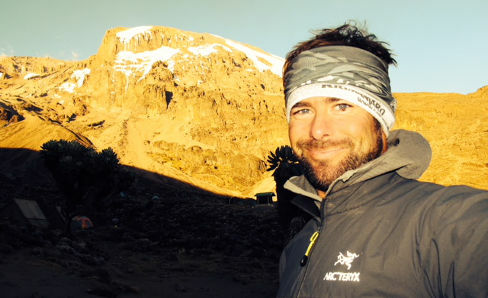 These individuals have a unique perspective as active users in the outdoors and thru their activities they convey that message as leaders, writers, photographers, speakers, competitors and so on. 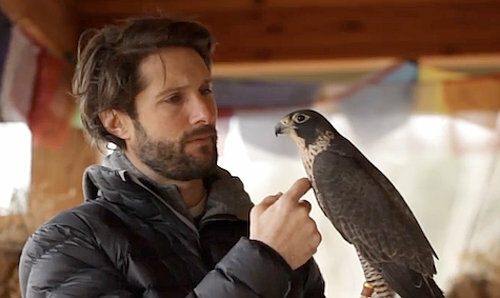 Once they become an ambassador, they also offer us great information about our boots & shoes and how they perform in the outdoors; about trends and things they are seeing and experiencing with their clients and make themselves available to help with some PR or events where they may have an expertise. Ambassadors are also not compensated other than some expense reimbursement when they help us at an event.